From January 1, 2011 through February 26, 2012, police were called to The Retreat at Twin Lakes, a gated townhouse community in Sanford Florida, 402 times. Crimes committed throughout that time had included eight burglaries, nine thefts, and one shooting. Twin Lakes residents said that there were dozens of reports of attempted break-ins, which had created an atmosphere of fear in the community. In September 2011, Twin Lakes residents held a meeting to create a neighborhood watch program, and George Zimmerman, a Twin Lakes resident, was selected to be the program’s coordinator. Zimmerman had, himself, made nearly 50 calls to police between 2004 and 2012 to report various local disturbances, though following break-ins in the neighborhood in 2011, Zimmerman’s calls to police increasingly focused on reporting people he suspected of criminal activity. During the months leading up to the February 26, 2012 shooting of seventeen year old Trayvon Martin, Zimmerman called the police several times to report people he believed to be suspicious. Zimmerman had been licensed to carry a firearm since November 2009, when Zimmerman had reported a loose pit bull in the Twin Lakes neighborhood multiple times and a Seminole County Animal Services officer advised Zimmerman to “get a gun,” according to one of Zimmerman’s friends. Sanford Police Chief Bill Lee acknowledged that Zimmerman had a legal right to cary his firearm on the night of the Martin shooting. 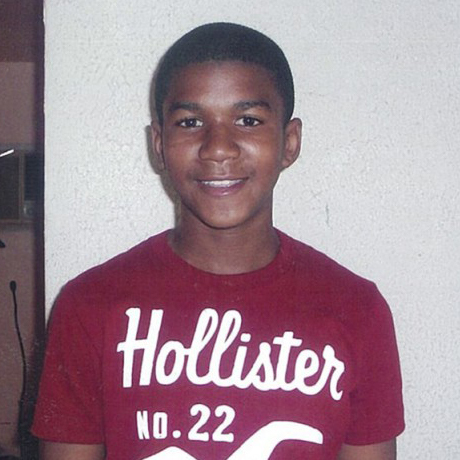 On the evening of February 26, 2012, Zimmerman observed Trayvon Martin as he returned to the community, after having walked to a nearby convenience store. At the time, Zimmerman was driving through the neighborhood on a personal errand. At approximately 7:09 p.m., Zimmerman called the Sanford police non-emergency number to report a suspicious person in the Twin Lakes Community. Zimmerman stated, “We’ve had some break-ins in my neighborhood, and there’s a real suspicious guy.” He described an unknown male “just walking around look about” in the rain and said, “This guys looks like he is up to no good or he is on drugs or something.” Zimmerman reported that Martin had his hand in his waistband and was walking around look at homes. At the time, Martin was visiting his father’s fiancée and her son at her home in the neighborhood. Zimmerman asked that police call him upon their arrival so he could provide his location, then ended the call at 7:15 p.m. After Zimmerman ended his call with police, a violent encounter took place between Martin and Zimmerman, which ended when Zimmerman fatally shot Martin 70 yards (65 meters) from the rear door of the townhouse where Martin was staying. What happened during that time is a matter of dispute. When police arrived at the scene, Zimmerman had a bloody and swollen nose, was bleeding from the back of his head, and his back was wet and soiled, as if he had been in grass. The night of the shooting, police declined to arrest Zimmerman, saying that there was not enough evidence to refute his self-defense claim. In a capias request, a request that someone be taken into custody, on March 13, 2012, police described what happened as “ultimately avoidable by Zimmerman, if Zimmerman had remained in his vehicle and awaited the arrival of law enforcement, or conversely if he had identified himself to Martin as a concerned citizen and initiated dialog (sic) in an effort to dispel each party’s concern.” The police further stated, “There is no indication that Trayvon Martin was involved in any criminal activity.” On April 11, special prosecutor Angela Corey announced that Zimmerman was being charged with second-degree murder. He was then arrested and, eventually, released on bail. On March 19, 2012, the Justice Department and the FBI announced that they launched a federal investigation into Martin’s death. In April of that same year, Prosecutor Angela Corey announced that she would not present Martin’s case to a grand jury. Later, on June 24, 2013, Zimmerman’s federal trial for second-degree murder began. This charge required that prosecutors show that Zimmerman evinced a “depraved mind,” brimming with ill will, hatred, spite, or evil intent, when he shot Martin. Manslaughter was added as a lesser charge, on which jurors needed to decide only that Zimmerman put himself in a situation that culminated in Martin’s death. On July 13, 2013, the six jurors, all of whom were female, found Zimmerman not guilty on all counts, after deliberating for only 16.5 hours. In February of 2015, the case officially came to a close when the Department of Justice announced that it would not seek federal civil rights charges against Zimmerman for the shooting. After Martin’s death, the Martin family sued the homeowners’ association of the Retreat at Twin Lakes for wrongful death, as Zimmerman was the neighborhood watch captain at the development. In April of 2013, the state civil case was settled for an undisclosed amount. The association admitted no guilt in Martin’s death and all parties are bound to confidentiality. Lizette Alvarez, Settlement is Reached with Family in Slaying, The New York Times (Apr. 5, 2013), https://mobile.nytimes.com/2013/04/06/us/trayvon-martins-parents-settle-wrongful-death-suit.html. Lizette Alvarez & Cara Buckley, Zimmerman is Acquitted in Trayvon Martin Killing, The New York Times (July 13, 2013), http://www.nytimes.com/2013/07/14/us/george-zimmerman-verdict-trayvon-martin.html. Greg Botelho, What Happened the Night Trayvon Martin Died, CNN (May 23, 2012), http://www.cnn.com/2012/05/18/justice/florida-teen-shooting-details/. Greg Botelho & Holly Yan, George Zimmerman Found Not Guilty of Murder in Trayvon Martin’s Death, CNN (July 14, 2013), http://www.cnn.com/2013/07/13/justice/zimmerman-trial/. CNN, Trayvon Martin Shooting Fast Facts (Feb. 7, 2016), http://www.cnn.com/2013/06/05/us/trayvon-martin-shooting-fast-facts/. Fox News, Run-ins with Pit Bull Reportedly Led Zimmerman, Wife to Get Guns (Apr. 26, 2012), http://www.foxnews.com/us/2012/04/26/encounters-with-pit-bull-reportedly-led-zimmerman-wife-to-get-guns.html. Wesley Lowery, Trayvon Martin was Shot and Killed Three Years Ago Today, The Washington Post (Feb, 26, 2015), https://www.washingtonpost.com/news/post-nation/wp/2015/02/26/trayvon-martin-was-shot-and-killed-three-years-ago-today/?utm_term=.9ea2aa25b173.